Extra responsive strings for your bass. Over the past two decades, the electric bass has shifted from the rhythm section to center stage as bassists have assumed the soloist's role. 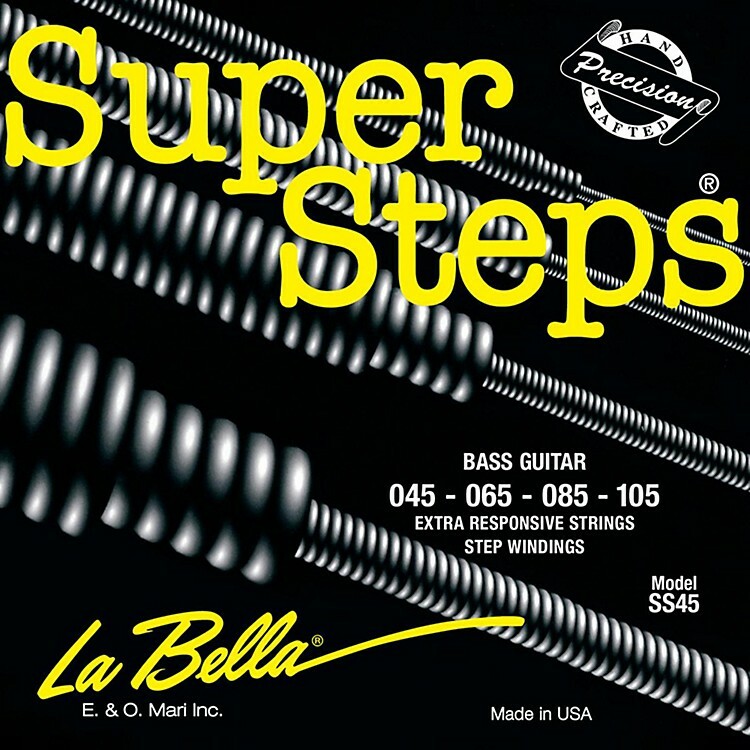 La Bella company president, Richard Mari Cocco, Jr. has worked closely with many of these world-renowned bass players to develop the unique design of Super Steps. Order these strings today to freshen up your bass guitar's tone.